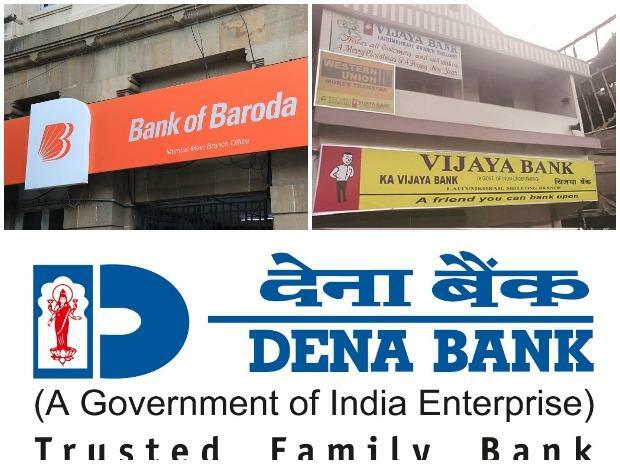 "Ministry of Finance, Department of Financial Services on 20th December 2018 has advised that the Alternative Mechanism (AM) has accorded its in-principle approval to the proposed amalgamation of Bank of Baroda, Vijaya Bank and Dena Bank," it said in a regulatory filing. The 'Alternative Mechanism' (AM) headed by Finance Minister Arun Jaitley had decided to merge three banks with a view to create global size lender, which will be stronger and sustainable. The merged entity will have a combined business of Rs 14.82 trillion, making it the third largest bank after SBI and ICICI Bank. The merger of these three lenders comes after India's top lender State Bank of India (SBI) merging its five subsidiary banks and taking over Bharatiya Mahila Bank last year, which has catapulted it to be among top 50 global lenders. Shares of Bank of Baroda traded 0.30 per cent up at Rs 115.20 apiece on BSE.